Year in and year out, one of the most popular home improvements is the kitchen remodel. This is an easy phenomenon to understand; after all, the kitchen is the center of sustenance and, often, the crown jewel of a home. As the site for cooking, homework, casual conversation, and everyday life, a kitchen’s design can encourage family camaraderie. The Great Blue Home Refinement team specializes in designing kitchens that look and feel like the heart of the home. A kitchen remodel comes as close as a home improvement can to promising you a better quality of home living while increasing the value of your home. 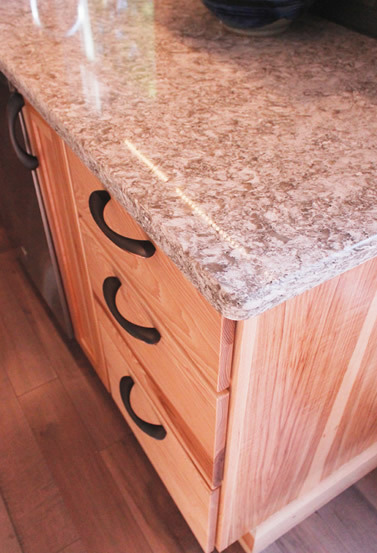 We offer several kitchen remodeling services at affordable prices, and you can rely on our kitchen remodeling contractors to assist you in making informed decisions regarding price and design. The first step to your new kitchen is deciding what you want to accomplish with the upgrades. Do you want just a few improvements to change the style or a complete kitchen renovation? 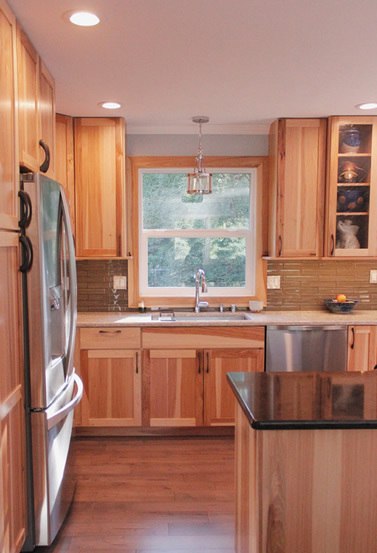 Maybe you like your layout but want cabinets that reflect a new color and ambiance. Perhaps new windows could increase the perceived space, or new entryways could open up some floor space. Maybe you are considering new tile or hardwood floors, or even new kitchen appliances. Great Blue Home Refinement offers some of the best ideas for kitchen remodeling that can turn your kitchen into a beautiful oasis and an efficient space. Whether you are seeking a space more accessible to all family members, more appealing to future homebuyers, or more functional for your culinary explorations, Great Blue Home Refinement will guide you through the often-overwhelming kitchen remodeling or kitchen design process and get you into your new kitchen fast. Why stop with the kitchen? We can help you redesign your entire home with brand-name products that provide you with beauty and functionality that will last for years. Do you want to design a bathroom, laundry, mudroom, or even a home office? Let us show you inspired home design. 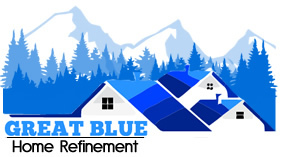 Call Great Blue Home Refinement today at (907) 868-8008 or contact us online to start the exciting process of turning your home into a place that fits the way you live. We promise a worry-free experience and quick problem solving throughout the entire process.